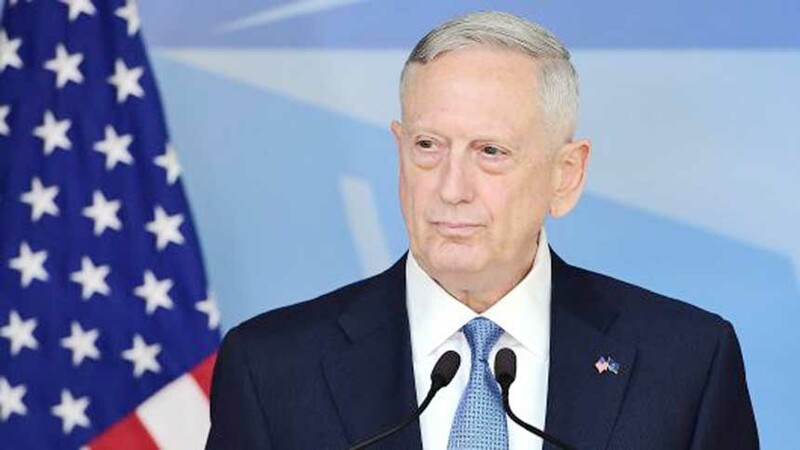 US Defense Secretary Jim Mattis said Saturday that Russia tried to meddle in the US midterm elections last month - just as it did in the 2016 vote that brought President Donald Trump to power. The already strained ties between Washington and Moscow have "no doubt"worsened over Russian's continued attempts to interfere in the US voting process, Mattis said at the Reagan National Defense Forum in California. Russian President Vladimir Putin "tried again to muck around in our elections this last month, and we are seeing a continued effort along those lines," the Pentagon chief said. Putin has "continued efforts to try to subvert democratic processes that must be defended," Mattis said, stressing he was unsure whether there were growing threats from Russia. "We'll do whatever is necessary to defend them." Mattis spoke as President Donald Trump suddenly scrapped a planned meeting with Putin at the G20 summit of world leaders in Buenos Aires, Argentina, citing a Russian military intervention in Ukraine. Ahead of last month's vote, Twitter and Facebook shut down thousands of Russian-controlled accounts, while 14 people from Russia's notorious troll farm, the Internet Research Agency, were indicted. And US law enforcement agencies warned that "Americans should be aware that foreign actors - and Russia in particular - continue to try to influence public sentiment and voter perceptions through actions intended to sow discord." The troll farm's finance chief, named as Yelena Khusyainova, was indicted by the US Justice Department days before the November 6 midterms, becoming the first person to face charges of interfering in the US vote. Russia in turn condemned the US for indicting her, saying the accusations were fabricated in order to impose further sanctions on Moscow. Trump himself is at the center of a probe into whether his 2016 presidential campaign conspired with Russian operatives to tilt the election in his favor. Israeli police on Sunday recommended indicting Prime Minister Benjamin Netanyahu and his wife Sara for bribery and other offences, the third such recommendation against the premier in recent months. Netanyahu has denied the allegations of bribery.